Posted August 20th, 2014 by Feis Mom X2 & filed under Feis Reviews, Milwaukee Feis, Wisconsin Feis. Mom X2 also attended the Milwaukee Feis and sent in her review in her Good/Bad/Other format. It is always good to get varying opinions! NOTE: The Milwaukee Poll is on the first Milwaukee 2014 Review I posted and can be found here. The 25th Milwaukee Feis was held at the UWM Student Union on August 9th, 2014. In celebration of the 25th feis, all dancers (or whomever made it to the registration tables) were given a quarter. When you get money (albeit $.25!!) back for dancing, it can’t be a bad day! Venue is easy to get parking (garage or street). If you know the area, lots of great restaurants and things to do. Stages are spread apart and have ample room. Some even had super comfy chairs that had desk surface attached, which was awesome. Food court was reasonably priced and the variety was great. Run back to back with McMennamin Feis, which gives many dancers fantastic competition. Results were posted within MINUTES of competitions being done. It was the fastest posting ever. Well run. After 25 years, they have it down. Posted August 20th, 2014 by Jeannette & filed under Feis Reviews, Milwaukee Feis, Wisconsin Feis. The 25th Annual Milwaukee Feis was held on August 9, 2014 at the Student Union at the University of Wisconsin-Milwaukee. The feis was run back to back with the McMenamin Feis, and so some aspects of this review apply to the review for the Sunday feis as well. This is the 3rd year we have attended this feis, and we have always found it to be a pleasant experience. This year was no different, and we anticipate returning again next year as well. 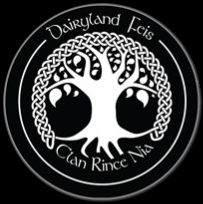 Posted August 19th, 2014 by Jeannette & filed under Dairyland Feis, Feis Reviews, Wisconsin Feis. The 2nd Annual Dairyland Feis was held on Sunday January 19, 2014 at the Olympia Resort and Conference Center in Oconomowoc, WI. The feis was run back to back with the Wisconsin Winter Feis, and so some parts of this review will refer to the review for Saturday’s feis to avoid duplication. This was our 2nd year attending this feis, and we have generally had a pleasant experience. 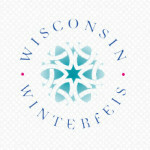 See Wisconsin Winter Feis Review for commentary. 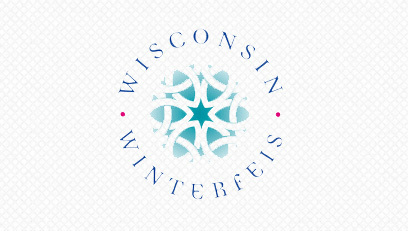 Posted August 19th, 2014 by Jeannette & filed under Feis Reviews, Wisconsin Feis, Wisconsin Winter Feis. The 14th Annual Wisconsin Winter Feis was held on Saturday January 18, 2014 at the Olympia Resort and Conference Center in Oconomowoc, WI. The feis was run back to back with the Dairyland Feis, and so some aspects of this review apply to the review for the Sunday feis as well. This was the first year we attended this feis, and we had a pleasant experience overall. 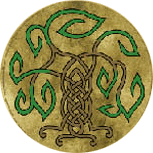 Posted May 7th, 2014 by What The Feis & filed under Celtic Spirit Feis, Feis Reviews, Wisconsin Feis. The Celtic Spirit Feis was held on May 4th, 2014 at the Wisconsin Center in Milwaukee, WI. Back to back feiseanna were held at the Wisconsin Center this weekend so the summaries and scores for Venue, Food and Vendors here are the same for the Saturday feis. Scores are below. Full descriptions can be found here. This review is for the PC/OC portion of the feis. If you have comments for the Grades portion of the feis, please contact me and I can share them in a separate post, thanks! Posted May 7th, 2014 by What The Feis & filed under Feis Reviews, Wisconsin Feis, Wisconsin Spring Feis. The Wisconsin Spring Feis was held on May 3rd, 2014 at the Wisconsin Center in Milwaukee, WI. Back to back feiseanna were held at the Wisconsin Center this weekend so the summaries and scores for Venue, Food and Vendors will be the same for both days and only listed in this review. Posted August 13th, 2013 by What The Feis & filed under Feis Reviews, Milwaukee Feis, Wisconsin Feis. 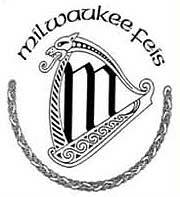 The 24th annual Milwaukee Feis was held on August 10th, 2013 at the Student Union at the University of Wisconsin-Milwaukee, in Milwaukee, Wisconsin. Editors Note: This feis is run as a back-to-back with the McMenamin Academy Feis and this review will cover a few sections for both feiseanna. Venue – This is the first time I have done the Milwaukee Feis, in fact, this is the first feis I have done in Wisconsin, and I enjoyed it.